It begins with a former Fundamentalist from Texas, ousted from his provincial church for asking too many questions. 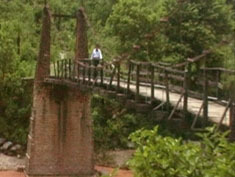 “If God wanted you to know about that, it would have been in the Bible,” he is told, “—so stick to worrying about your own salvation.” But that’s not good enough for Edward T. Martin, and thus begins a seeker’s quest across 4000 miles of India in search of answers about where Jesus was during the “Hidden Years” from ages 12 to 30. The New Testament is silent on those years, however in India there is an ancient tradition that young Jesus joined a caravan and took the Silk Road to the East, where He lived with both Hindus and Buddhists before returning to begin His ministry. To what extent are these traditions based on evidence, and why does the “Pope” of Hinduism now insist that Jesus was in India? 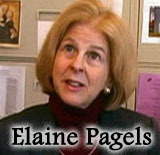 Why does Professor Elaine Pagels of Princeton University, a world-renowned Biblical scholar, say we cannot rule this out? Scholars and religious authorities are joined in this film by the Dalai Lama and an Apostolic Nuncio of Pope John Paul II. You will hear all sides, and you will be shocked and surprised by some of the answers offered for the Bible’s silence about JESUS IN INDIA. JESUS IN INDIA is from the director whose latest motion picture won the Saturn Award for Best DVD of 2006 and also the international fan-based Rondo Award for Best Independent Genre Film. New concepts of the historic person of Jesus of Nazareth are emerging from studies of ancient texts discovered since the 1940’s in the Holy Land and Egypt. Even Pope Benedict the 16th acknowledges this in his book JESUS OF NAZARETH. However, what the Pope does not talk about, which you will learn much about in this film, is that there is purportedly an ancient text about Jesus, long believed to have been seen and studied by a few select scholars and adventurers at a very remote monastery in Ladakh, India, high in the Himalayas, which may tell us true things about the historic Jesus not described in the New Testament. That text has been translated from Tibetan at least twice and was published in entirety about 100 years ago by a Russian writer, Nicholas Notovitch, and then again in the 1920’s by Hindu Swami Abhedananda, a direct disciple of Ramakrishna of impeccable reputation. The question today is where is the most ancient version of it (purportedly originally written in the Pali language) and how old is it? Does it accurately fill in actual missing details of the life of Jesus? 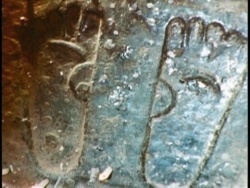 Traditional Christian documentaries about the Missing Years in the life of Jesus, such as one produced for National Geographic, quickly dismiss the concept of Jesus having been in India and brush it off without any details or consideration, even claiming that the supposedly ancient text published by Notovitch was proven a forgery. However, it has certainly not been proven a forgery, and dismissals of this kind seem designed to discourage a close look at something that deserves to be seriously examined. 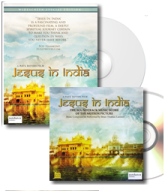 Thus, JESUS IN INDIA finds its place in this inquiry as a production that will provoke thought, lengthy discussion and many ideas and questions. 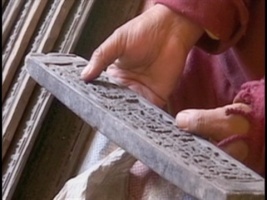 The main character in this film, Edward T. Martin, has long had the wish to hold in his hands the manuscript said to exist at the Hemis Monastery at 14,000 foot elevation, near Tibet. 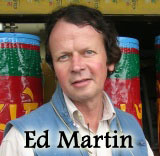 Edward Martin is by any definition an adventurer who has visited almost sixty countries and climbed many mountains. He is an English teacher from Lampasas, Texas, where he was raised as a member of the Church of Christ but ran afoul of popular opinion. The offense he committed seems a small one by contemporary standards. As a young Bible student he noticed the problem of the "Hidden Years," and he began asking questions about it – perhaps too many questions for some, and that caused him trouble in his church. What Edward Martin learns and hears on his journey in JESUS IN INDIA will jolt and challenge much of what you have always taken for granted about the origins of Christianity. However, at its heart, this film is the story of a quest in India, traveling over 4000 miles in search of answers to ancient mysteries. The crew confronted all kinds of dangers, from terrorism to inhospitable climates, floods, impassable roads and arduous train travel during India’s summer monsoon. A remarkable group of scholars and religious authorities join in the search for answers, including the Dalai Lama, the "Pope" of Hindusim and Princeton Professor and Biblical scholar Elaine Pagels, author of the best seller BEYOND BELIEF: THE GOSPEL OF THOMAS. Professor Pagels was the subject of a full page in Newsweek in its special "Women and Leadership" edition. 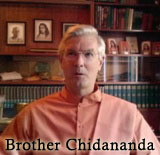 With contributions from the Nicholas Roerich Museum of New York, repository of the paintings of the Russian mystic who searched for the Jesus manuscript in the Himalayas in the 1920s, and assistance from the Self-Realization Fellowship of Indian author, philosopher and mystic Paramahansa Yogananda, as well as psychiatrist / author Paul R. Fleischman, M.D. (author of KARMA AND CHAOS and THE HEALING ZONE), Muslim scholar Arif Khan, and Rabbi Yitzchok Adlerstein (Loyola Professor of Jewish Law), JESUS IN INDIA raises very provocative questions. There are also contributions from the “Pope of Hinduism” known as the Shankaracharya, spiritual leader of millions of Hindus, and from the Buddhist spiritual leader, the Dalai Lama. Without resolving questions that probably can never be resolved, this film attempts to sort legend from myth from evidence and examines all the theories regarding Jesus’ possible travels in India, while presenting all points of view. 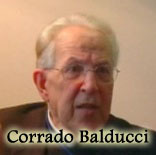 The Catholic position is well represented by Professors Alan C. Mitchell and Anthony Tambasco of Georgetown University, as well as by Monsignor Corrado Balducci (Apostolic Nuncio of Pope John Paul II) and Michael Hesemann, an author and Vatican-accredited journalist. The Hindu, Buddhist and Jewish points of view are also joined by the point of view of the Ahmadiyya faith, a branch of the Muslim faith that has been persecuted by other Muslims for its belief that Jesus returned to northern India after the crucifixion and was a spiritual advisor to an ancient king there. The trail of investigation leads all the way to war-torn Kashmir, where an ancient tomb called the Rozabal (the Prophet’s Tomb) in a Muslim district is a place of controversy because of the debate over which prophet is buried there. Muslims claim that prophet came from Egypt two thousand years ago. 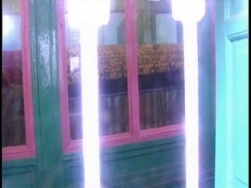 Some in the world of cinema have said that as important as a good movie is the conversation that follows it. JESUS IN INDIA has a spiritual focus and spirit of inquiry that will probably keep some of those discussions continuing long after the final credits are over.